It was a decision made over a glass of wine too many. We had 5 days. Where would we go? We pored over the map of Africa spread out on the kitchen table some more. So many options…so little time. A bottle or two later – we had pinned it down. 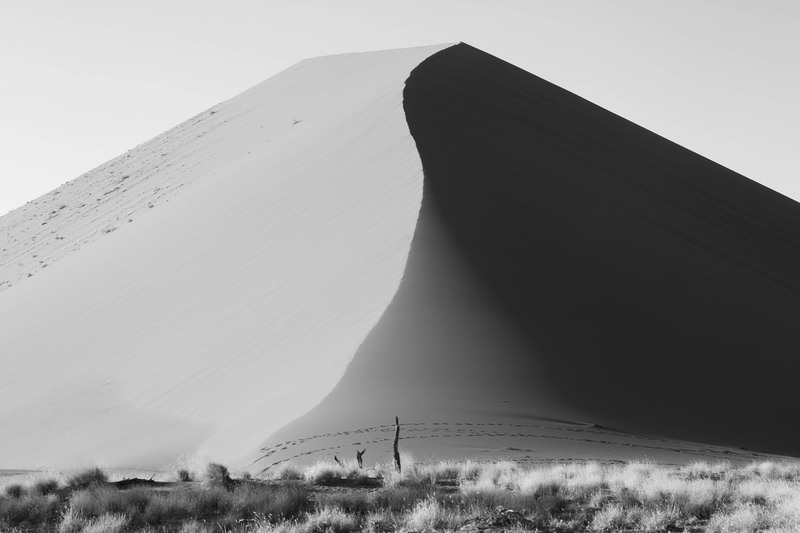 We would go from the stunning city of Cape Town to the heart of Namibia’s dune lands…and back. Doable? We weren’t sure. But before we could change our minds the twinkling lights of the Mother City were fading in our rearview mirrors and the first splashes of dawn colours were fast approaching on the horizon. Our destination that night was Sossusvlei, one of the world’s most spectacular places with a name of mixed origin meaning ‘no return marsh’. A journey of 1436kms. The tires of our car ate up the kms with an insatiable appetite as the landscape hurtled past our windows. 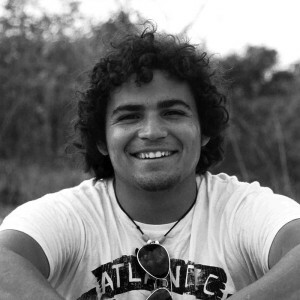 The music blared on the radio and our spirits soared with the freedom we were experiencing. Yet as the hours passed we seemed to draw no closer to the land of red sands and martian landscapes. 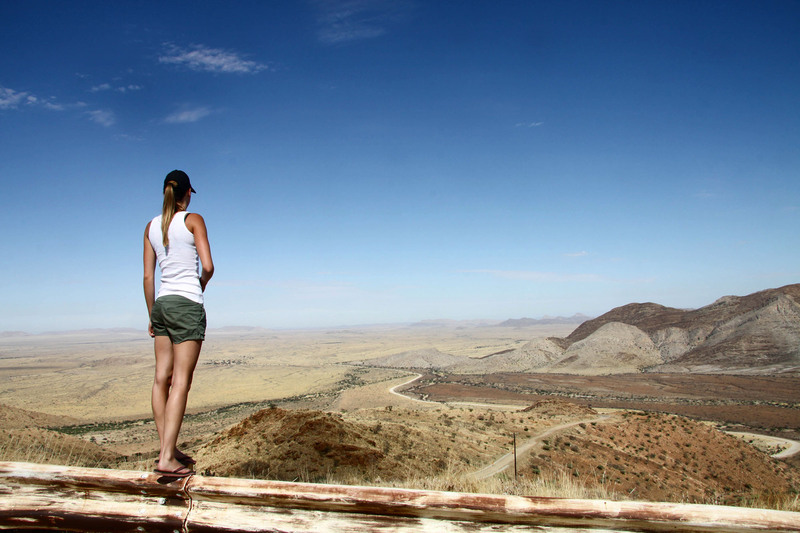 At 12 noon, with the sun at its apex, we hit the South African — Namibian Border. We had made good time. This was to be the first hurdle on our trip that had thus far proceeded seamlessly. During our trip-planning meeting which had lasted approximately 45 minutes the night before it hadn’t even occurred to us that we needed to fill in a hotel address for the immigration form. Without one we weren’t about to be allowed entry – the stern immigration lady made sure of that. We tried the whole “oh you know…we’ll just drive around and see where we go” but she wasn’t buying it and the time ticked by. 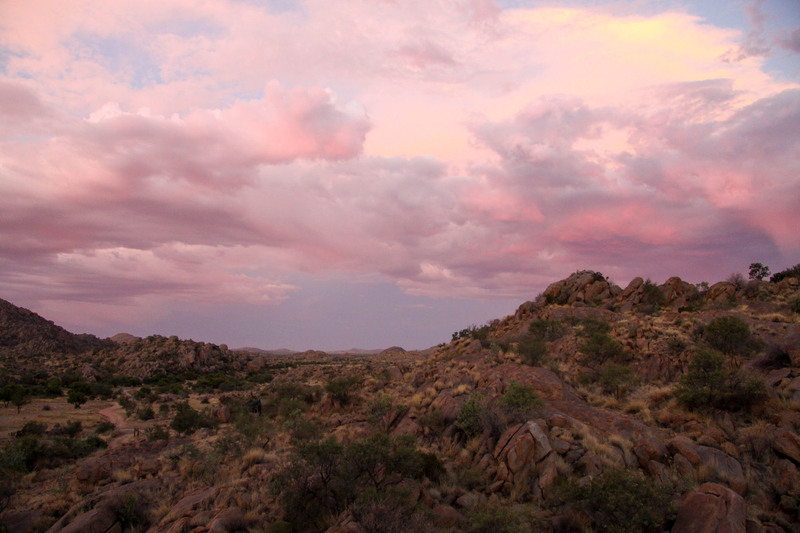 With our minds completed obsessed by all things sandy and desert-like we established the ‘Desert Lodge’ in Windhoek. Our fictitious address did the trick. On we went. The landscape slowly changed outside our windows. We left the tarmac in our wake and headed into the unknown with the gravel happily crunching under our tires. Suddenly out of the vast emptiness appeared a man alongside the road. We were literally in the middle of nowhere. We had not seen a house, a sign, anything the last 2 hours but there he was. We skidded to a halt and as a the dust cloud cleared a tall dark man with tattooed tear drops under his eyes emerged. He looked ferocious. We wondered whether we had made the right decision but given that it was a dry barren country all around and the sun was beating down without mercy we weren’t about to leave this man behind. Our guest was suitably delighted and despite the fact he was covered in pretty frightening looking tattoos he made a good travel companion. He told us many a story as we ventured deeper into the Namibian bush lands. In a place where road signs are scarce and help even scarcer he turned out to be good news for us. By the time that the deep red African sun was threatening to dip below the horizon we were in the middle of nowhere. The map we had proved useless. We had shredded two of our tires, bought a new one in a small nondescript village (it didn’t really fit very well either), dropped off our hitchhiker covered in tattoos and lost our way. Twice. We weren’t exactly sure where we were but we figured it was no problem. We pulled of the road, pitched our tent and spent a night stargazing. The Milky Way lit up the African night sky. It was incredible! 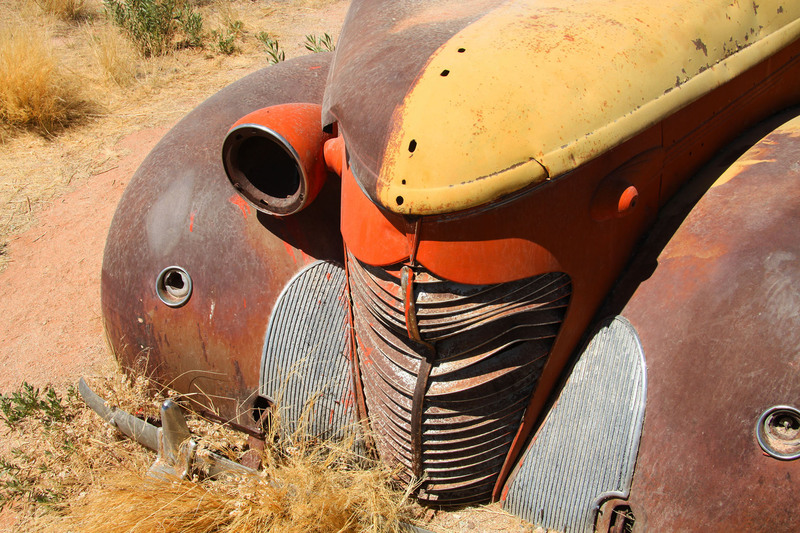 The next morning we found our bearings with the help of fellow travellers and eventually pulled into Solitaire, a small cluster of buildings decorated with a bunch of rusty antique vehicles inhabited by scorpions. We stocked up on peanut butter, bread and red wine (just the essentials) and got the directions for a lodge up in the mountains above Solitaire. We went in search. As we climbed into the foothills our car overheated and we had no choice but to park it and letter it simmer down. 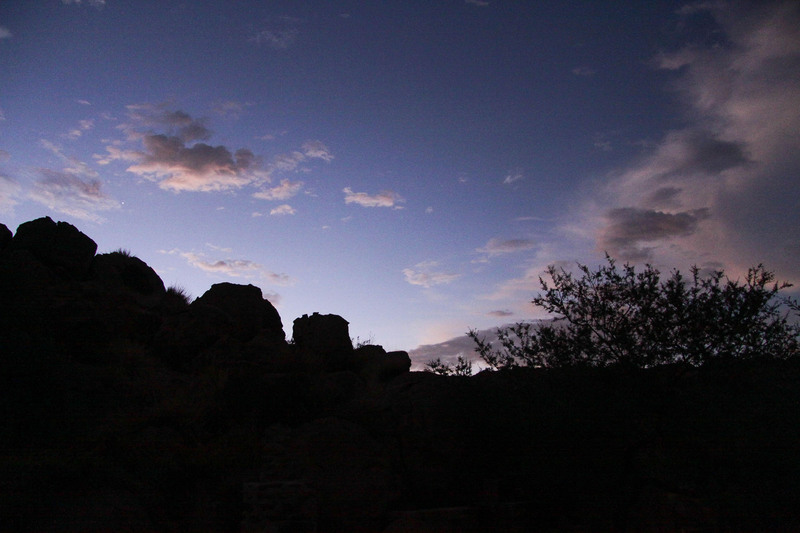 We put our backs on the sun-heated rocks and stared up as the sky turned pink then black. Our worries disappeared as the night descended, the temperature dropped (and out car revived itself). Somewhere out there, in the ‘Land of Open Spaces’ there existed mythical dunes that towered 300m. We decided we had had enough of the little hideaway in the mountains and went out to find them! 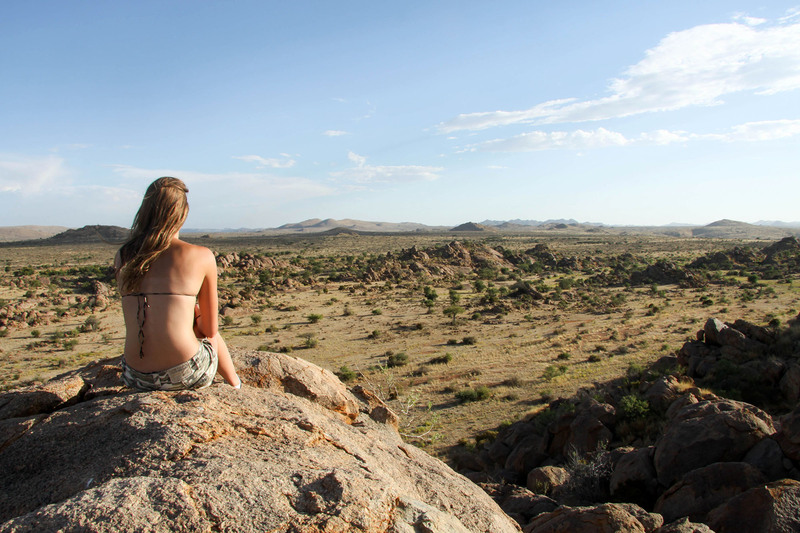 We entered the stunning Namib-Naukluft National Park and were mesmerized. The dunes were otherworldly. 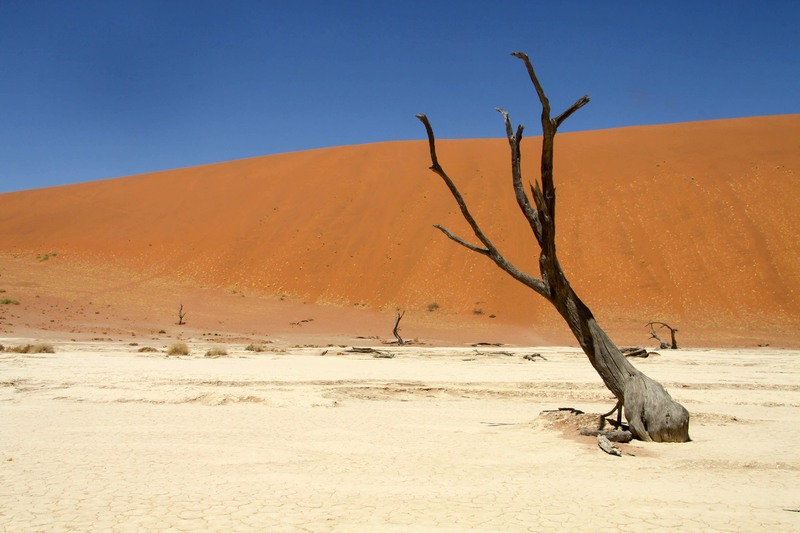 This was the Namib Desert, home to the sands of time, Africa’s oldest – most spectacular desert. Shaped over millions of years and still ever-changing. 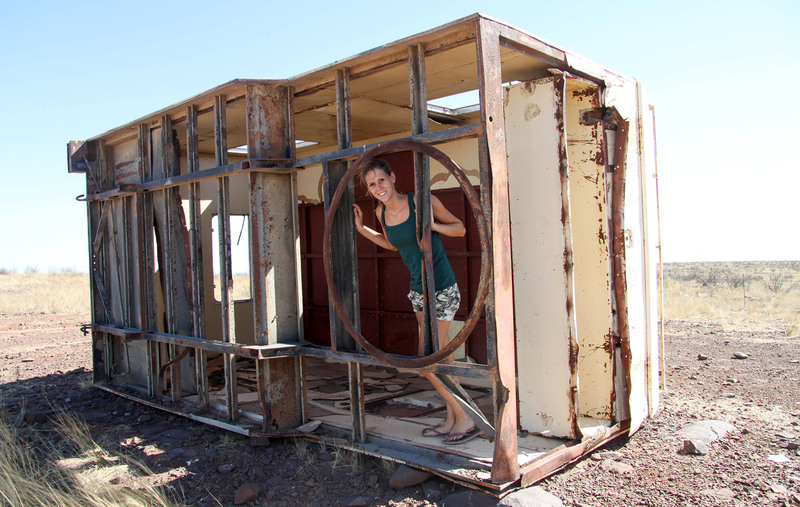 While the name Sossusvlei may describe a place of ‘no return’ or a ‘dead end’ this is a place that lives on. It thrives, in its own way. The variety of shades of red was mind boggling. Natures very own palette of reds, browns and oranges. The colours produced by iron particles oxidized over millions of years accounts for this. As we drove through the park we realised that too truly experience the best Namibia had to offer we needed to return at the ‘golden hour’, sunset or sunrise. As dawn touched the horizon our feet touched the cold sand of the Namib. The rising sun gently illuminated half of the dune while it cast the other side into deeper shadow. My girlfriend trod onto the virgin sands. We will never know if it had ever been climbed before — but that didn’t matter. We were caught in the moment. We felt more alive than we had ever felt before! An hour later, sweat pouring down our faces, cramp burning our calf muscles we looked down on the great Namib, a sea of dunes as far as the eyes can see. Magical beyond description. We were all alone. Not a sound in the air. We were but mere spots in this expansive landscape. Time passed as the sun gradually reached its zenith. This was a special moment and we longed for it to continue. Eventually with great reluctance we accepted it was time to descend. We peered down the steep flanks of the dune and decided that there was only one way to descend…quickly. With that I launched my bag (with camera inside) from the summit and watched it cartwheel down the flanks of the peak. We looked at each other and threw ourselves of the summit! Needless to say that by the time we got down we didn’t know up from down and had swallowed many mouthfuls of sand. Before we left the Namib we had one last place to visit: the Deadvlei. 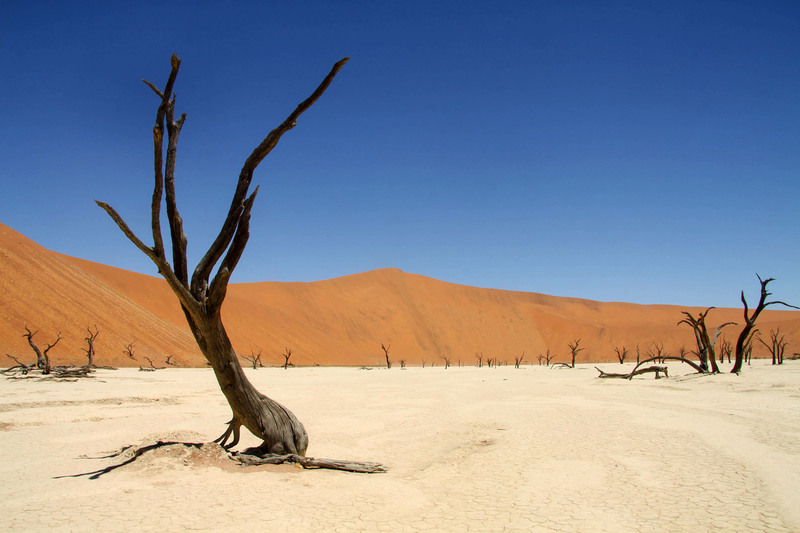 The deadvlei is a graveyard of trees, a place devoid of life but stunningly beautiful and eerie in its own right. In times gone by a river used to feed the Vlei but with changing weather systems the river dried up and all that remains is a land of scorched acacia skeletons. The contrasting colours of the black trees, the copper dunes and white pan underneath are by themselves unique. We entered the Vlei. Patterns in the sand and dead trees that have watched a thousands sunrises come and go silently stood guard. It was an ethereal place. Before long the heat drove us off and we left the Vlei to remain as it is. Before we knew it, it was time to return to the Cape of Africa. 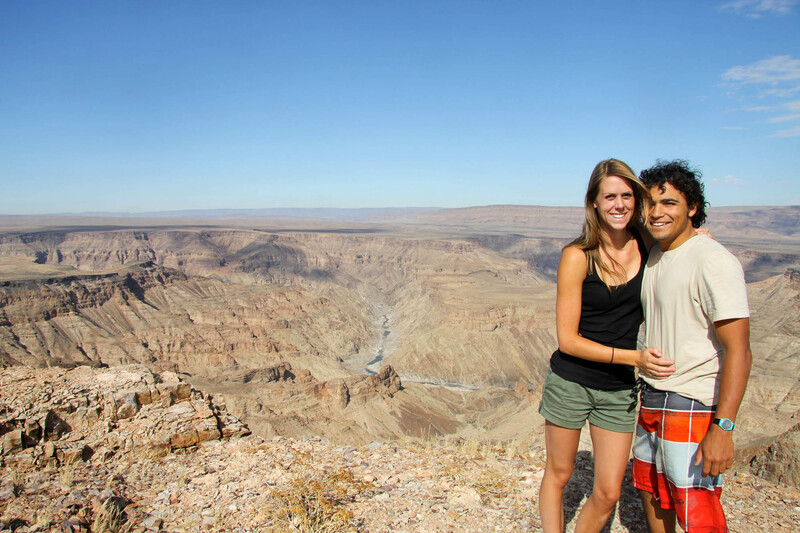 However we had one last sight to see; the Fish River Canyon. With a length of over 650km the Fish River is the longest in Namibia and it cuts deeply into the Namibian plateau carving out the world’s second largest canyon. We stood on the edge of rim and looked down at what the raw force of nature had created over millions of years. A realization crept in that we are so insignificant in the light of the raw force of nature. 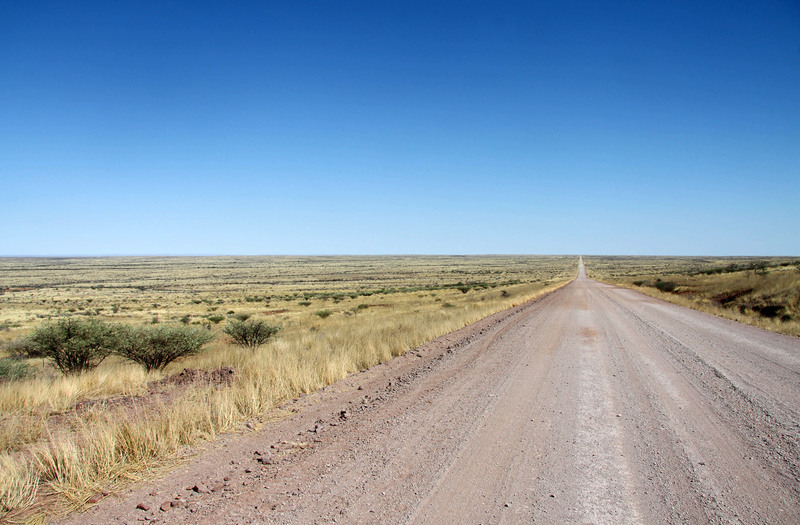 Namibia is an enigma. A land of vibrant contrasts and at the same time desolate beauty. The traveller will find exactly what he is looking for even when he is not sure what that is. We will come back. The desert has cast its spell. There is no escaping it. Why you should live and travel in a van.